Still riding high from the confirmation of Brett Kavanaugh to the Supreme Court, President Trump reveled in the victory at a rally Tuesday night and continued to slam the Democrats – and warned that the opposing party is already working to undermine the new justice. “Last week they were saying impeach, for what? For what?” Trump said. The president again accused Democrats of seeking to destroy Kavanaugh since the moment he was announced. 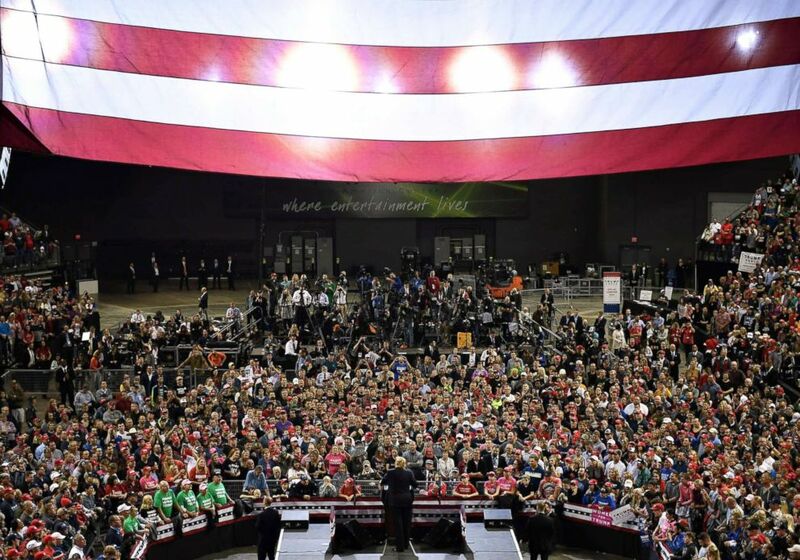 President Donald Trump speaks during a rally in Council Bluffs, Iowa, Oct. 9, 2018. 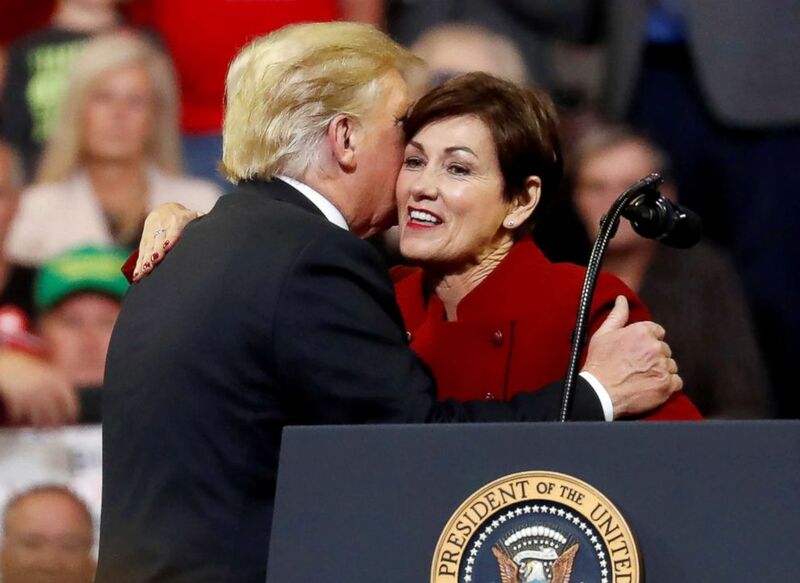 President Donald Trump embraces Iowa Governor Kim Reynolds as he holds a campaign rally in Council Bluffs, Iowa, Oct. 9, 2018. Trump continued to call the Democrats the “party of crime,” and said they will plunge the country into poverty and chaos. “If Democrats take control they will try to reverse our amazing progress and plunge our country into gridlock and maybe into poverty and ultimately into chaos,” Trump said. The president also took a swipe at Senator Elizabeth Warren, saying Democrats have gone “so far left” that they consider “Pocahontas to be a rationale person,” Trump said. As he was expected to do, President Trump announced that the EPA will be easing regulations to allow for the year-round sale of ethanol. “We’re going with E15 year round, okay, I made the promise to you during the campaign, promises made promises kept,” Trump said to wild cheers from the crowd. The timing of move, just a month ahead of the midterms, would appear to be an effort by the president to show farmers in America’s heartland that he’s still got their back. The largest cheer of the night came when the president mentioned Nebraska, which prompted the Nebraskans in the crowd to loudly cheer in reply. The president noticed the loud cheering and did a call-and-response with the crowd to see who was from Iowa and who was from Nebraska. And the Nebraska cheers were much louder. The president then concluded that he didn’t care. “All I know is we have a lot of farmers in both and our administration is protecting ethanol, today we are unleashing the power of E15 to fuel our country all year long,” Trump said. Even though the audience seemed Nebraska-heavy, President Trump urged Iowans to get out and vote – and do so early. 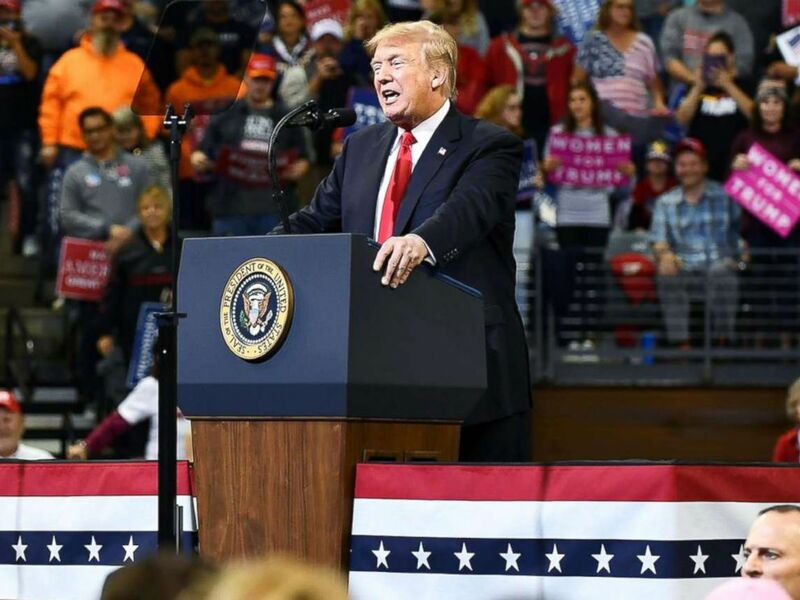 The president called on the audience to vote for the Republican candidates up for election, including Kim Reynolds, David Young and Rod Blum. Reynolds came up on the stage and gave brief remarks, expressing support for Kavanaugh.